As the Germans say: “In der Beschränkung zeigt sich der Meister”, loosely translated by English speakers as “less is more”, we should really get to the main points of our 10 points of management. In my view, the main point always has to be Goal Clarity. If you do not have Goal Clarity then what are you working towards, what is you plan and how will you ever reach satisfactory results. 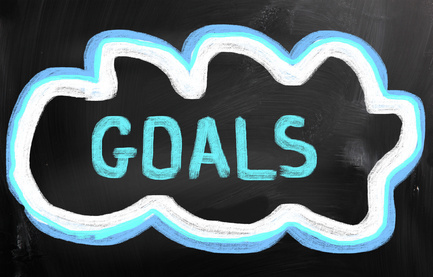 Once a Goal is in place and it is clear to all, or most, you can start assessing all your processes and procedures, resources and communications to see to what extend they are directly supporting the Goal. Many leadership theories written and taught in business school deal with leadership of people, thus motivation of people, and assume that the Goal is clear to all or the theory supports the distribution and clarification of Goals as one of the major facts of motivation for employees. In fact these theories deal with what we refer to on this blog as Resources. Resources are everything that can be help you reach the Goals. This will range from your team, to members of adjacent teams, consultants, trade organizations but also buildings, communication materials, patents etc etc. It is a very broad category and our emphasis is that to be a great manager, you need to be great at handling and balancing all the Resources at your disposal. Well, if you have a Goal that is clear and Resources that you can direct and balance in a meaningful way, you will need a Process to glue it all together and get it productive. A Process is not limited to a production sequence but also to your management Process, the communications you use, the way you keep up to date and use innovation and creativity. It is the combination of the three that makes for a powerful mixture.